It’s official, my Jeep’s stock antenna banged against my PIAA windshield mounted light. A common problem to find out there, but the solution was not as easy to find. 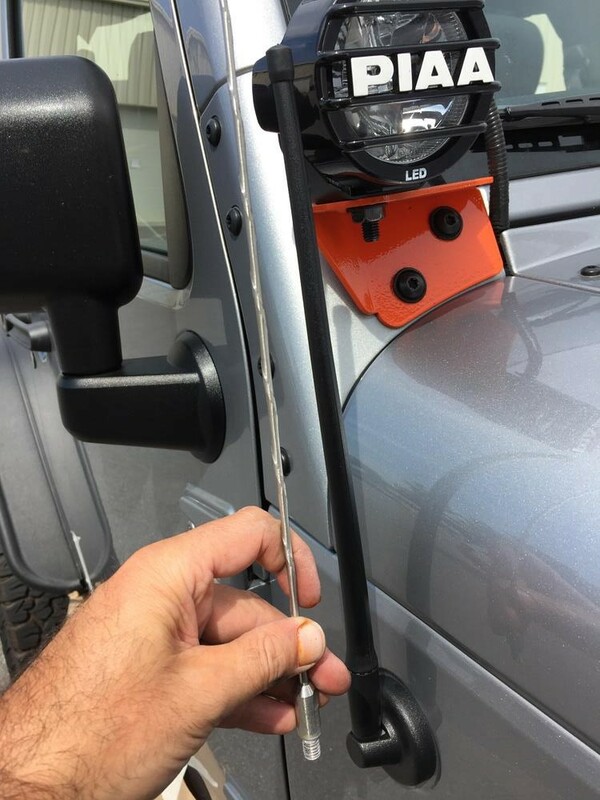 A quick Google search on “rubber antenna”, “off-road antenna”, “jeep wrangler antenna” or anything similar all came up with one main result – Antenna X Off-Road Antenna (13 inches). Well that solves it then-right? Unfortunately, the answer was no, it was not that easy! And they just got worse from here. So what is a consumer to do? How can the same product be hated and loved at the same time? It is the mystery of our time! One is left to play psychologist and detective to try to determine which reviews carry the most credibility. Throwing up my hands, I decided to risk it and give this antenna a shot. The install was super easy; unscrew the factory antenna from its base, screw in the small threaded bolt (provided in kit) into the bottom of the Antenna X, and screw the Antenna X into the factory base. It looked great and solved the problem of the antenna hitting the light right off the bat. Now to test the reception. Luckily I had a (2) hour drive through some backwoods parts of North Carolina planned. I found the reception to be identical to the factory antenna, both in the city and in the remote areas. I could not tell any difference what-so-ever. My “gamble” paid off, completely happy with this purchase. I don’t have any advice to pass along concerning product reviews, but it sure does make you crazy! I wholeheartedly vouch for this product and hope the reviews get better!